The concept of community gardens is not a new one, yet they are becoming increasingly important as the land around us becomes more densely developed. Community gardens in North County vary in scope and size, but the common ground is that they bring people together with goal of uniting nature and humanity, and offering residents their own place to grow plants. 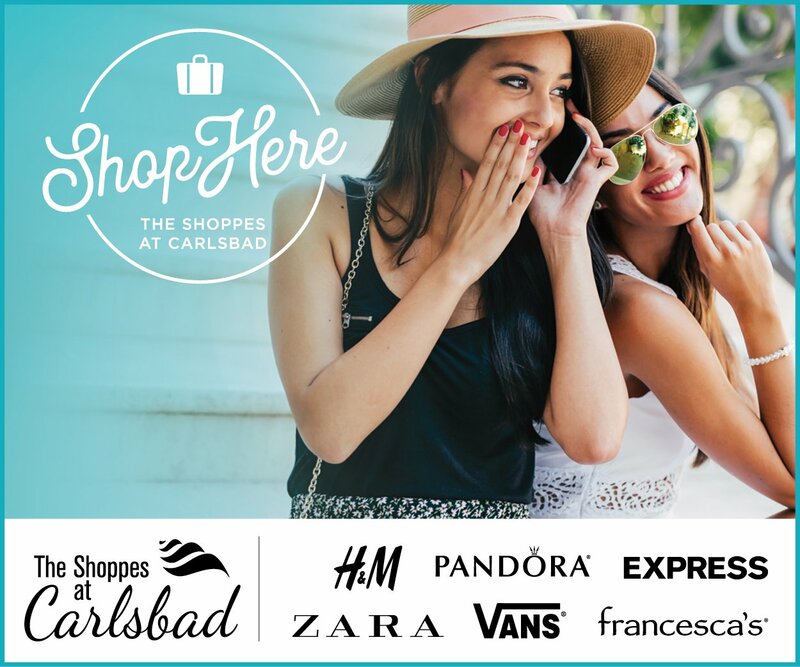 Patrice Smerdu is a name Carlsbad residents recognize. She is the spokeswoman for the Harold Smerdu Community Garden, which her late father was instrumental in bringing to life. “It was probably 1983, and my dad was having coffee with the mayor and mentioned he had a friend willing to donate land to the city, but the criteria was that nothing could be built on it,” Patrice Smerdu said. “My dad campaigned for a community garden. Land values were going up and people didn’t have room to grow, they had smaller yards.” Six months after that coffee date, the city had put in a watering system and the garden was on its way. The garden is one of the oldest in the county now. “It wasn’t popular at first, but now we have a three- to four-year waiting list and 52 plots,” she said. Today, the garden thrives and the Smerdus are proud of the benefits to the community. “It offers a sense of community, camaraderie and exercise,” Patrice Smerdu said. “It is multigenerational and it fits the bill for a lot of the goals the city has for its residents. A donation from the Jenny Craig Foundation five years ago in support of healthy eating has enabled the garden to continue to grow. One perk to gardeners is they have access to many tools, including wheelbarrows enabling people to come garden on their lunch break or their way home from work. Patrice Smerdu hopes to get more local businesses involved as well. “For Carlsbad, it’s made a difference, meeting with city leaders, letting them get a bigger picture of the importance of community gardens,” she said. Patrice Smerdu encourages anyone who is interested to come by and take a look. “We love visitors,” she said. Lisa Roop is a board member with the Carlsbad Community Gardens Collaborative, which serves as a support and advocacy group for all community gardens in Carlsbad. “Beyond our general educational/advocacy work, we assist the city’s gardens by maintaining the waiting list for residents who are interested in obtaining plots, hosting a bimonthly educational booth at the State Street Farmers Market and holding donated funds which help support the gardens. Roop is excited that a third Carlsbad community garden is in the works, which will be located in Pine Park. “The new garden is to offer approximately 30 raised beds, a composting area and a shade/seating area,” she said. “A portion of the beds are to be designated for teaching gardening classes and offering intergenerational gardening activities for community groups,” she added of the garden which is estimated to be completed early next year. 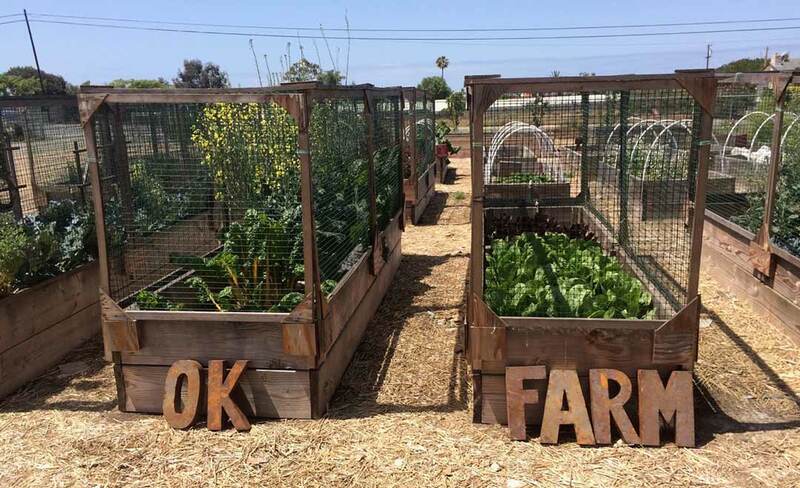 Encinitas is home to the Ocean Knoll Farm, which serves students and the community by growing food for the school lunch program at all nine of its schools. Mim Michelove and Camille Sowinski are the founders of Healthy Day Partners, which was formed “with the mission of improving community health through education,” Michelove said. The partnership developed, built and has managed the Ocean Knoll Farm for the past four years. Michelove was an Ocean Knoll parent who brought her devotion to innovative garden education and community commitment to the 1-acre farm project. In addition to growing food, the farm also supports multidisciplinary outdoor education. “We incorporate global themes that have local impact,” Michelove said. Themes include water conservation, the role of plastic in the environment, civic participation and social responsibility. While Healthy Day Partners funds the majority of the Ocean Knoll Farm, the Encinitas Union School District helps as well. “EUSD has supported the program from its inception by helping to clear out the land, installing and maintaining the irrigation system and facilitating other school site related issues,” Michelove said. “During school hours, the farm functions as an outdoor extension of the classroom for Ocean Knoll students,” she said. When school isn’t in session, Health Day Partners has worked with community partners such as Jimbo’s, Simply Organic, Chipotle and others to build 85 raised garden beds, a 50-tree community food forest (the first of its kind in Encinitas), a large stage, a chicken coop, greenhouse made of plastic trash, to name a few. The benefits of our community gardens are spread far and wide. Bringing residents together, working toward common goals and educating and beautifying our cities are certainly among them. 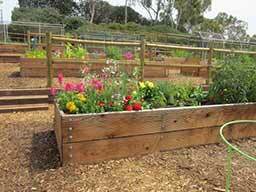 To learn more about these community gardens, visit carlsbadcommunitygardens.org or fine Ocean Knoll Farm on Facebook. To learn of other area community gardens, visit sdcgn.org.